This entry was posted on Saturday, June 2nd, 2012 at 9:10 am	and is filed under Eating Disorders. You can follow any responses to this entry through the RSS 2.0 feed. Both comments and pings are currently closed. I love this post 🙂 I totally agree with every word. Thanks Sarah! Sarah, I am absolutely guilty of exactly the point you make. My poor daughter has worked so hard for her recovery and too many times we saw normalcy as imminent goal and didn’t realize that she needed the time your talking about to shore up her skills and heal before she took on the tasks of young adulthood. People who know tell you this but somehow you want to believe your daughter is different. We believed that with all we learned, she would be able to use those skills and knowledge to work through those everyday stresses. But I think I was naive to the effects of the underlying co morbid anxiety that laid suppressed by her pre anorexia behaviors like competitive sports. This was like unleashing another monster to cope with for her. For us it was finding the balance of activity and interests that were helpful and fulfilling, without leaving too much unstructured time. She needs a lot more rest in her day too. These are some of the most difficult things to accomplish, trapped in a world where peers and friends are living a different life, wanting to in some way to be a part of that but knowing that she is not ready for all the stresses and challenges that it entails. What I really wish for is a strong intermediate program that meets 3-5 days a week for a few hours to practice, review and re in force the skills and pitfalls that our kids will encounter during this phase of recovery. My dear daughter in 3000 miles away from home with her dad because nothing exists here on the east coast to support the family based treatment that my young adult needs. You know I am a strong proponent of what you are suggesting for embarking on major life changes. I want to add another factor here because depending on the length of illness prior to remission and any co-morbid conditions that require treatment and remission as well, it could be even longer than 12 months for someone building their strength and resiliency. The brain often needs a longer time for full healing and getting back to working again. So that they are more resilient under stressful conditions. We’ve been very careful to take a slow and steady approach for my D due to her long term malnourished state, comorbids, and need for peace and a quiet environment to heal. I am a strong advocate for nothing takes precedence over health and recovery. I have had AN for 8 years now and developed it at 15 and was hospitalized for 3 months (though I would currently be classified as having AN in partial remission). I took a year off for treatment after high school (age 18) and gained 25lbs to a healthy BMI of 20.5 — However, this did not stick and I was asked to leave the treatment program I had participated in for 7 months (though I continued with outpatient treatment). After 5 months of this dismissal from the treatment program and about 3 weeks before I was ready to leave for university, I was in a desperate place — I had a BMI of 14.5 and was on a wait list for inpatient treatment with the same hospital. However, I desperately wanted to go to university and stop my weight loss (though at that point I didn’t have much interest in gaining weight). I began to see a ED dietician, in addition to the ED-specialized psychiatrist and psychologist who had followed me for approximately 3 years. I entered first year university (though my team and parents did not have much hope in me finishing first year in such a horrible state) and found that I desperately wanted to stay. In the first week of my classes I fell in love with university and decided I wanted to stay in this place that was devoted to learning and research — and that I would do anything to stay. I realized that I did not have the stamina or mental health to undertake a university degree. I realized that weight gain was the key to this — and in this way, I choice my mind over my body. I have started a PhD in psychiatry/neuro-imaging research supervised by a prestigious supervisor/psychiatrist at a top university in Canada. I have gained 27lbs since that dark time in first year. I am not symptom free (purging, self-harm and over-exercise are still an issue) but my weight is in the healthy range and I can “pass” for normal. My dietician, psychiatrist and psychologist, who have been with me for these past 5 years are now helping to further my recovery. . . I just wanted to remind everyone that all cases are individual. I have been in treatment three times and had the option to participate in treatment a fourth time. However, I wanted to try my hand in university — and by doing this I rediscovered my passion for learning, which enabled me to fight back against my AN and (with support) slowly recover. I just graduated college and am now completing a biomedical research internship while living on my own. I am about to apply to medical schools and look for a job, however I am still very underweight and only maintaining. I have not menstruated in 4 years and I am no longer seeing a physician on a regular basis. 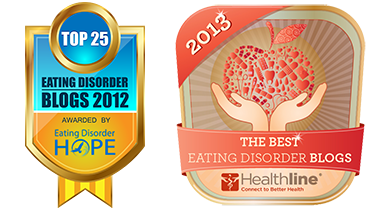 I suffered from an eating disorder since age 11 and was hospitalized several times. Although I have come so far and do not actively engage in restricting behavior, I haven’t been able to gain the weight I need to to make a full recovery, yet I’ve somehow managed to maintain a 4.0 GPA and graduate as salutatorian of my college class. My main concern is the long term damage I am doing to my brain. Could you please elaborate on the statement you made : “it takes at least 12 months for the brain to heal from the effects of starvation” ? I am very interested in the science behind this, and perhaps you could email me more information about it. Thanks! It is very common for people in the acute phase of AN to do extremely well in school, despite being emotionally unstable, socially withdrawn, and overly anxious. Malnutrition seems to affect some aspects of functioning much more than others. The statement about it taking 12 months for the brain to heal from the effects of starvation comes, in part, from the Minnesota Starvation Study, in which healthy male volunteers were placed on a semi-starvation diet for a few months, then re-fed, while being studied by scientists. It took approximately 6-12 months after achieving a normal weight for their social-emotional functioning and personality to return to normal. Of course, these were previously healthy men who were starved for a brief period of time. Longer-term malnutrition may take longer to reverse. 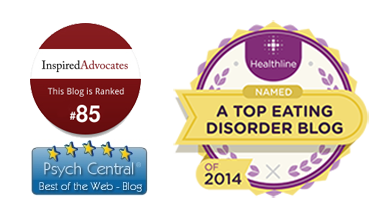 Parents who have helped their children recover from AN often observe that, while some of their children’s eating disorder behaviors disappear around the time of weight restoration, it usually takes about a year before the child returns to his/her normal self in terms of mood and personality. Thanks so much for your response Dr. Ravin, I appreciate your time.